Diana Caldwell is co-founder of Pearl Pathways. She serves as President and CEO and oversees all business operations, business development, legal, and financial functions. She is an accomplished and recognized life science business leader with over 25 years of experience in both large pharmaceutical and small entrepreneurial environments. Throughout her career, she has successfully driven organizational growth, developed and implemented strategic business plans, and directed successful teams. Pearl Pathways is a comprehensive life science product development consulting services company with expertise in regulatory, quality compliance, and clinical trial services including an AAHRPP accredited commercial IRB, Pearl IRB. Her company works with clients’ clinical teams, in-house regulatory experts, the quality compliance specialists, quality auditors, and the senior leadership team to get life saving diagnostics and therapeutics on the market sooner. In 2009, Diana founded Pensar Ideas which is a business strategy, sales and marketing consulting firm that serves life science companies. She consulted with several contract service providers, sponsor companies, healthcare software providers, and high tech companies. Previously, Diana was Director of Sales and Marketing at a Midwest regulatory and compliance company. Early in her career, she worked for Eli Lilly and Company for over 15 years in a variety of general management, sales and marketing senior leadership roles. Diana also lends her talents to several community organizations and not-for-profits. 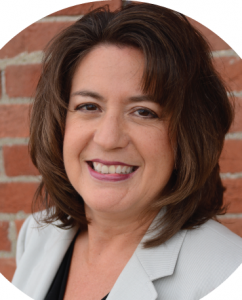 She has held the role of Director of Corporate Partners on the Board of Directors for the Healthcare Businesswomen’s Association (HBA) and served on La Plaza’s Development Committee. She currently serves on the Board of Directors for Senator Lugar’s Fund for Hoosier Excellence, the Marketing Advisory Board for Anderson University, and the Butler University College of Business Marketing Board. She also leads the Indiana Health Industry Forum’s Clinical Trials Alliance and volunteers for WBENC serving the Great Lakes Women’s Business Enterprise Council. She often serves as a moderator and guest speaker for healthcare and life science conferences. In 2015, Diana was recognized as the Indiana Outstanding Achiever Entrepreneur by the Women’s Business Enterprise Council – Great Lakes. Further, she graduated from the Goldman Sachs’ 10,0000 Small Business Program in May 2016 which is a national program to help entrepreneurs create jobs and economic opportunity. Diana earned an MBA in Marketing and Human Resources from Indiana University’s Kelley School of Business and a B.A. in Psychology from Indiana University. To learn more about Pearl Pathways and Pearl IRB, please visit www.pearlpathways.com or www.pearlirb.com, or call 317.899.9341, or email contact@pearlpathways.com. Pearl Pathways is located in Indianapolis, Indiana, and is a WBENC certified woman owned business.